It's Springtime and I've been doing some housekeeping, so I thought I'd pull a few images from the shelf, dust them off, and give them their 5 minutes of fame on my blog! 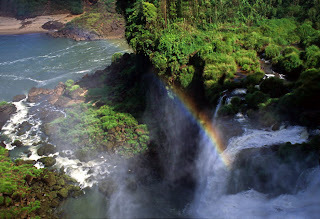 A rainbow lives in the mist of Iguacu Falls, bordering Argentina and Brazil. 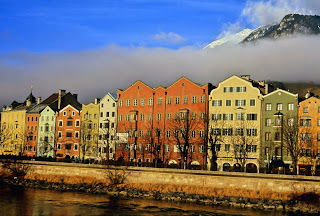 Winter mist shrouds the colorful riverfront buildings in Innsbruck, Austria. 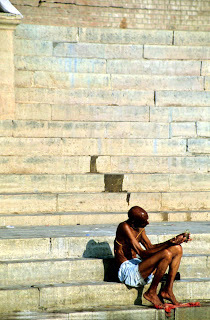 A lone Hindu man on the steps of the holy Ganges River in Varanasi, India. 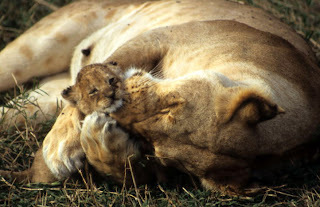 A lioness cares for her cub in the Maasai Mara of Kenya. 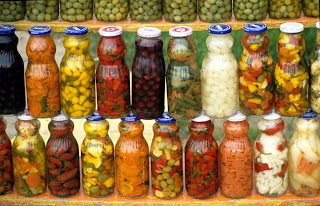 Displays of marinated chilis, olives and onions dot the roadside near Ensenada, Mexico. 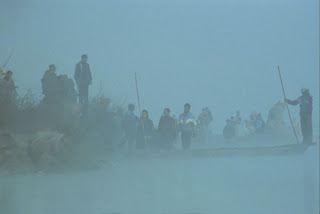 Grasscutters embark on an early misty morning on the Chitwan River in Nepal. 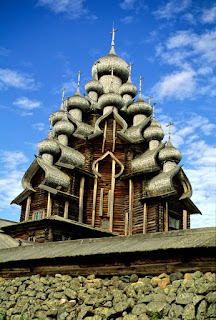 The Church of the Transfiguration, built entirely without nails, on Kizhi Island in Russia. 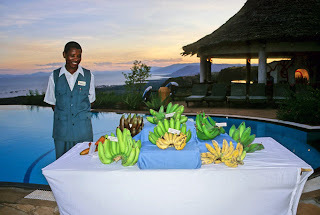 A display of the many varieties of bananas presented at Lake Manyara Serena, Tanzania. 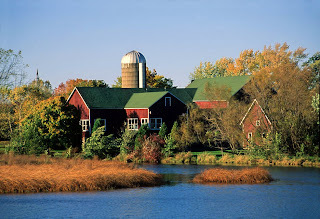 The autumn sun warms a red barn in rural Wisconsin. Be sure to check out my Travel Photography website for other images of these destinations plus alot more! Why are those on the shelf?! They should be on the market!